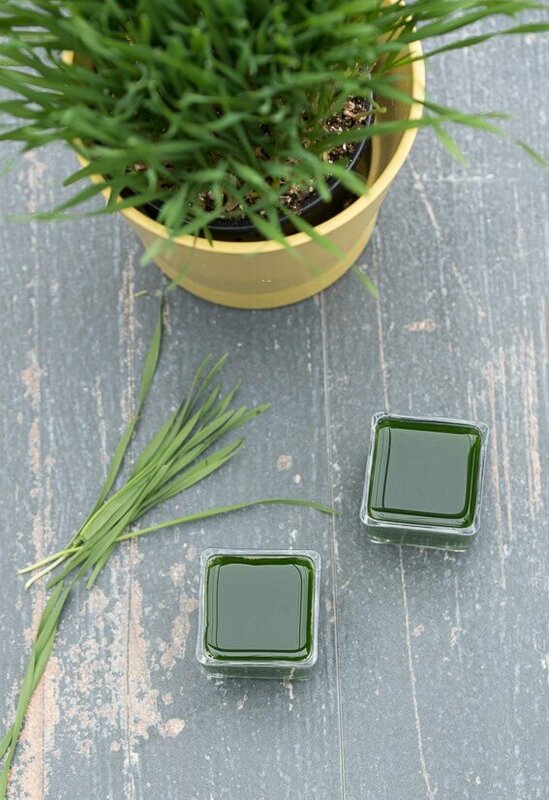 Making your own Wheatgrass Juice is incredibly easy! Wheatgrass is known for its detoxification power, and is loaded with chlorophyll. This article will teach you every thing you need/want to know about wheatgrass (how to make it, how to grow wheatgrass, health benefits and side effects). 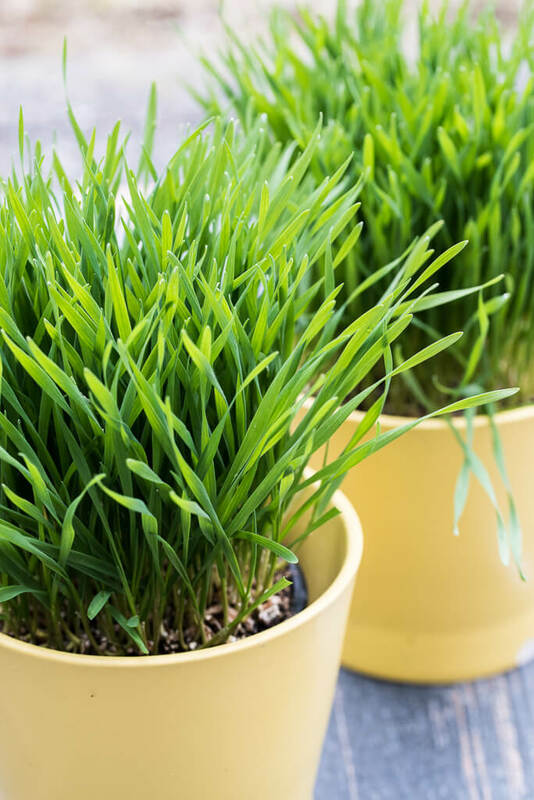 Wheatgrass is freshly sprouted wheat of a wheat plant that is usually between 1-2 weeks old. It is used primarily as a drink, but can also be used topically as a rub to help treat blemishes and eczema. It is a dietary supplement that can be juiced fresh, or it can be purchased in powder, liquid, or capsule form. Most people juice it in the morning and add it to their shakes, or it can be taken as a “shot” in the morning for a boost of energy. It can be added to smoothies, lemonade, or used in homemade popsicles. What Are The Benefits and Nutrition of Consuming Wheatgrass? Consuming 1-2 ounces of wheatgrass juice daily has been proven to have positive effects on the immune system. Known as liquid sunshine, this superfood is mostly filled with chlorophyll, which helps build the bodies blood count. It’s an immune system booster. Not only is it known for it’s insane amounts of chlorophyll, but it’s also known for being filled with 19 amino acids, vitamins a,c, and e, and it contains 98 of 102 earth elements. Whew. Talk about power! If you’re wanting to take something to really kickstart you into better health, drinking a shot of wheatgrass will help your body start detoxifying. 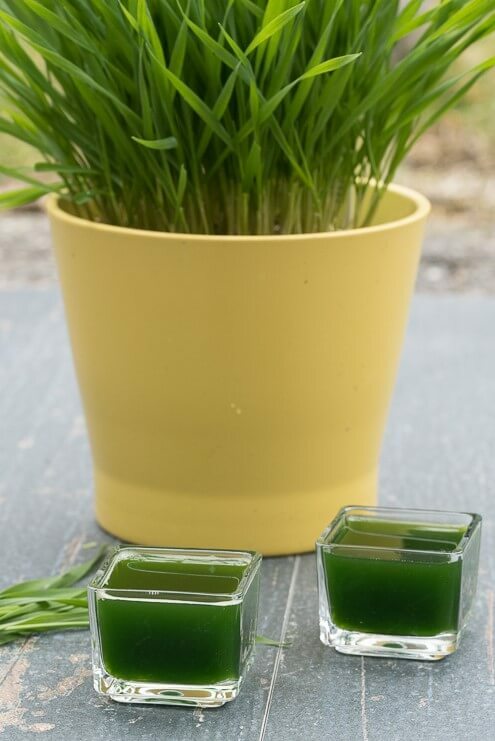 A shot of wheatgrass helps remove toxins, the chlorophyll is antibacterial, and wheatgrass helps purify the liver. Looking to lose weight? Stimulated by wheatgrass, your thyroid gland will thank you as it goes into overdrive to speed your metabolism after a shot of wheatgrass. Wheatgrass is known for helping fight diseases, especially skin and tissue related ones. Are you sold on wheatgrass yet? If so, growing wheatgrass can be done in the comfort of your home. It doesn’t take much to grow wheat grass. In fact, all you need is four ingredients. For a 16 by 16 inch tray, you will want to use 2 cups of seeds. It’s important to rinse them in a strainer and then transfer them to a large bowl that you will fill with about 3 cups of filtered cold water. Once you cover your bowl with plastic wrap, you can set a timer to ten hours, or just take note of the time. 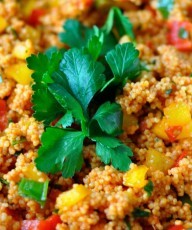 Allow the bowl to sit out in room temperature on the counter or table where it will be undisturbed. After 10 hours, you’re going to drain the water, and refill it again with 3 more cups of water, cover, set aside for an additional 10 hours. After ten hours, you do it again, yes, again. Total of three 10 hour soaks. By now they should have sprouted and be ready for transfer. Before you can transfer your seeds, make sure the tray or pot you are transferring them to has a few holes on the bottom. Use chemical-free paper towels to line the bottom of the pan. Then you’re going to add a one inch layer of organic compost or organic potting soil to your pan. Remember, you’re going to drink this grass. Keep it chemical free. Next, you’re going to start from one end and spread an even layer of seeds on top of the soil. You want to give the seeds a little wiggle space, but not much. You can gently press the seeds in just a tiny bit, but do not cover them completely with soil. Then with a water mist sprayer, gently water the seeds. You can now cover the tray with some kind of protective, yet breathable material such as a thin hand towel or even newspaper. Keep it in an undisturbed area where there is partial sunlight. Each day, spray the seeds and material to make sure the seeds do not dry out. You want to keep the seeds and soil damp. Continue this process for about four days. Once it begins to sprout, remove the material from on top. Continue to water daily and keep it where the natural sunlight partially hits it. It needs sunlight to grow, but direct sunlight will kill the grass. The wheatgrass, once ready to cut, will split. You’ll know when it splits because the single strands will become two towards the top. This is the prime time to cut and use the wheatgrass. You usually only have about 5-7 days before it begins to fold over or turn brown once it splits. 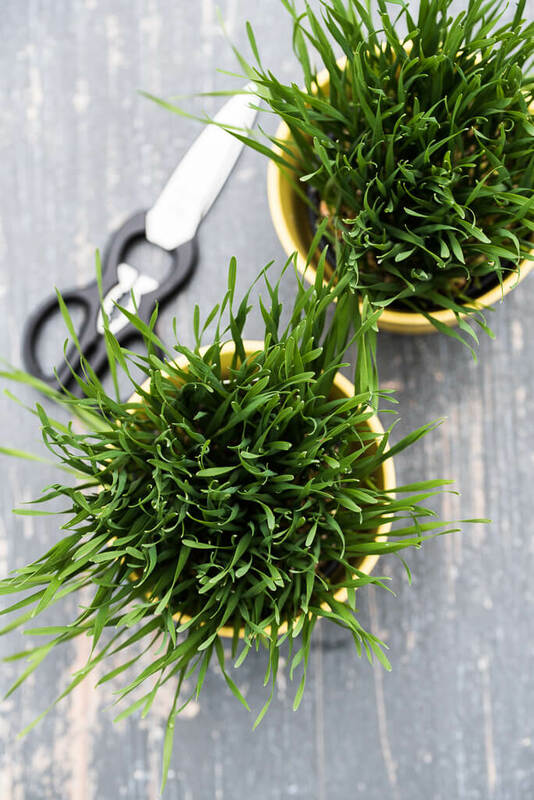 When you’re ready to harvest the wheatgrass, either use scissors or a knife to cut it. Never rip it with your bare hands. You want to cut right over the root. You can refrigerate extras, but it’s best to take only what you will use, juice it and drink it right away. When you’re harvesting your wheatgrass, be sure to inspect it. You do not want to consume any mold that can grow on the wheatgrass. As with any new supplement, you want to be cautious of trying out something new. Discuss with your doctor if wheatgrass is something you should try. For most people, wheatgrass is a superfood they will continue to benefit from daily. 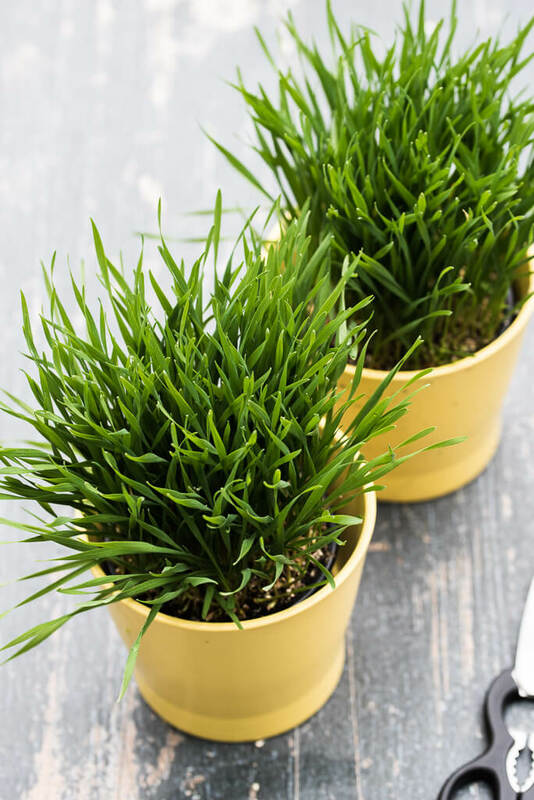 If you’re allergic to wheat or grass, you may want to avoid wheatgrass, since an allergic reaction may occur. There are not many side effects from the consumption of wheatgrass. What has been reported is nausea, light headedness, diarrhea, and headaches. All which can stem from the detox that your body goes through when taking wheatgrass. Start with small doses. Not more than one ounce a day. Work your way up to two ounces a day, slowly. 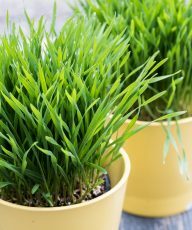 How do I make Wheatgrass Juice? It’s really simple. Check out the printer-friendly recipe card below to find out how to make your own wheatgrass juice/shots using fresh wheatgrass. Use this recipe to quickly make your own wheatgrass juice/shots to use in smoothies or drink as is. Reap all the health benefits of wheatgrass! 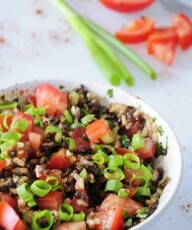 Pulverize the chopped wheatgrass with the water in a high powered blender or food processor for at least one minute. Strain the wheatgrass juice through cheesecloth or kitchen towel. Wheatgrass juice is best used immediately or within 24 hours. If you can't use it within a day, it is best to freeze the juice in an ice cube tray. 1.) I find this to be the easiest way to make wheatgrass juice. 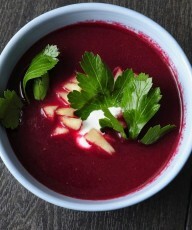 If you have a juicer that allows you to use leafy greens then you can use that as well. Some people swear by using manual juicers specific for juicing wheatgrass, parsley and other greens. Have you ever tried wheatgrass juice? Do you grow your own wheatgrass or buy it in powder or capsule form? Let me know in the comments below! Very interesting article! I think I may be allergic to wheat grass. 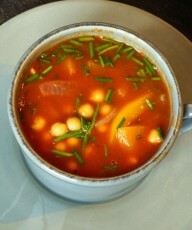 I have a wheat sensitivity, and when I tried wheat grass I felt sick. So much great information, thanks! I love growing herbs and wheatgrass will have to be added to my collection! Love this! Wheatgrass is fun and so good for you. I have to take mine in a quick shot though, I am allergic to some grass so need to be careful. 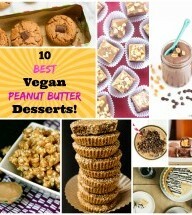 I’ve never even thought about making my own but what a great idea. Thanks for making it so simple! I didn’t know you could use a blender! This is great. I heard wheatgrass has a strong taste. Would I be able to mask the flavour with another juice and still reap the benefits? I know juicing is good- but some mixtures are more beneficial than others. This is so interesting! I have never tried wheatgrass but would love to. It sounds so easy to grow. As an eczema sufferer I had no idea it could be helpful topically. 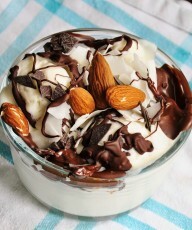 I need to try that!